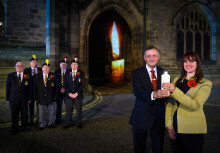 Author Ralph Davidson, from Milnrow, unveiled a poignant new book during a special launch event and book signing at Rochdale Town Hall this week. 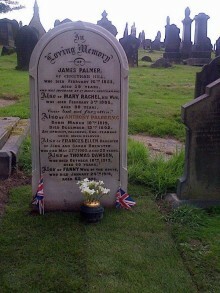 World War One re-enactment 100 years on – Sunday 10 August. 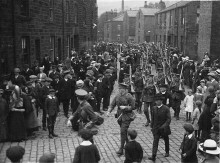 Rochdale residents are being asked to take part in a historic re-enactment by lining the streets on 10 August to welcome a commemorative march from Todmorden to Rochdale. 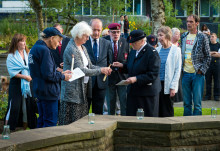 The Army’s event team were welcomed by Rochdale Borough Council during a Full Council meeting on 24 July where they spoke on the changing face of the Service. 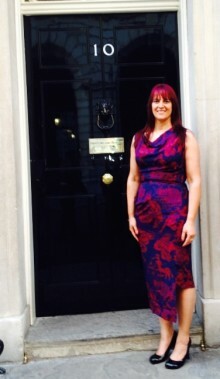 Rochdale Borough Council’s Acting Chief Executive visited Number 10 Downing Street this week. 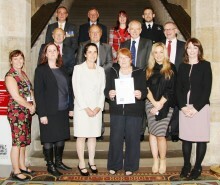 Linda Fisher was invited by Prime Minister David Cameron to a special Armed Forces reception. 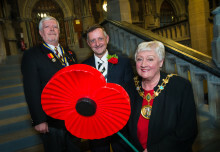 Deputy Mayor Councillor Surinder Biant, Rochdale MP Simon Danczuk and Council Leader Councillor Richard Farnell were joined by individuals, organisations and dignitaries from across the borough at Rochdale Town Hall on Friday for an event to mark Srebrenica Memorial Day. Deputy Mayor Councillor Surinder Biant and Councillor Daalat Ali sign a pledge to cohesion. 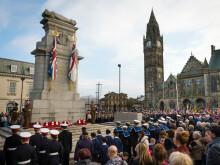 The Rochdale Safer Communities Partnership, the Rochdale Multi-Faith Partnership and Greater Manchester Police will host a Remembering Srebrenica Memorial Week event at Rochdale Town Hall on Friday.